The momentum for responding effectively to climate change is growing. There was good news in March from the International Energy Agency, which reported that carbon dioxide emissions in 2014 did not increase for the first time in 40 years, at least not in relation to an economic downturn. The Guardian newspaper has made climate change a key priority, and 350.org’s divestment campaign seems to be expanding. Even Al Gore is optimistic. Are we finally on the right track? If we focus on development pathways towards global sustainability, we may have less reason to celebrate. This is because a focus on CO2 reduction alone is unlikely to address wider sustainability issues, including biodiversity loss, declines in ecosystem services, changes in nitrogen and phosphorus cycles, land use changes, poverty and inequality, human rights, conflict, and other issues that are closely linked to climate change impacts, vulnerability and adaptation. In other words, we may be on the right track, yet still on the wrong path. 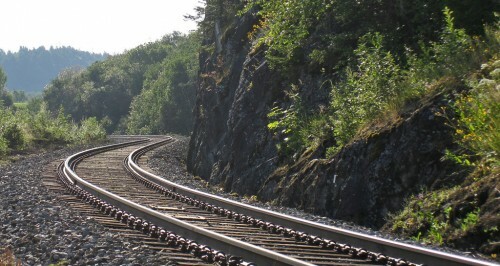 While track and path are often considered to be synonyms, path can also be defined as a way of life, conduct or thought. A path paved by modernization-led economic growth, where green technological development is both the focus and the goal, is another way of describing development as usual. There is a risk that such a path will circumvent the wider and deeper issues associated with rapid global change. Developing and spreading low-carbon technologies is much easier than questioning ways of life, norms of conduct or habitual thoughts, for the latter may force us to rethink our ideas and approaches to development and to stand up to those who use their power to perpetuate unsustainable pathways. Arguably, it is only in changing the way we relate to other people, species, and generations that we are likely to find the real solutions to climate change – solutions that promote not only mitigation and adaptation, but transformations to sustainability. Recognizing that we need a different pathway is important, but creating a different path takes courage. In our eagerness to be quick, to scale up, to produce measurable results, to turn risks into opportunities and to get everyone on board, it is important to continuously ask whether we are, in fact, addressing the real problem. If the right track is the wrong path, we might end up exactly where we do not want to be! ⇐ What was it about Mandela?